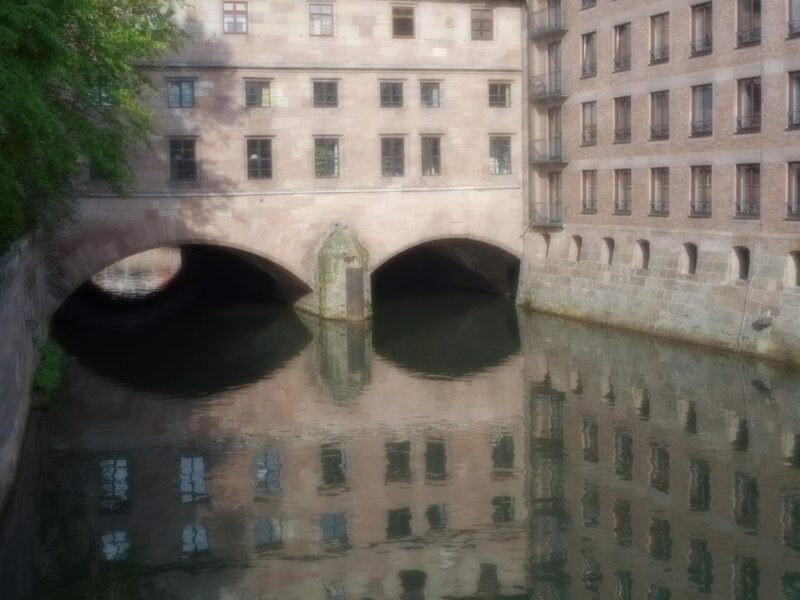 As part of a walking tour, I went to the former Nazi rallying grounds in Nuremberg. They were big and gray, and without any colorful banners or loud crowds. It was a quiet place. The guide told how people were required to participate in the Nazi rallies come rain or shine. His school teacher had told of rallies to celebrate the construction worker at which he was to march in formation holding and twirling a shovel and how people tired after hours of this so that they would frequently misstep and bang into the next person in line with their twirling shovel. The guide told of how people would need to travel to participate in these rallies. They would stay in crowded, uncomfortable areas the night before a rally. Much beer drinking during that time resulted in many showing up quite drunk to the rallies. The Nazis didn’t like the drunkenness but couldn’t do much about it. He said at a rally presided over by Adolph Hitler, pictures showed that some participants had vomited at Hitler’s feet. But the official film was edited to show a rally of orderly, enthusiastic swabs. The Documentation Center is a museum on the rallying grounds. (If your imagination was not bringing the rallying grounds to life on the outside, the many images inside helped.) Video clips showed people horsing around at these rallies. Soldiers could be seen in the vicinity of the unruly crowd. No beer was evident but the people in the crowd were acting silly. For example, one man bent over and another smacked his bottom. The crowd cheered and the man stood up grinning and rubbing his bottom. The scene had a carnival air. I thought the people in the crowd looked like they might have slept in their clothes. The next morning, I was admiring the upside down world as reflected in the local river. Had the people at the rallies reflected on a similar sight? Tired people in large crowds are primed to sink into a crowd mentality. Cults have shown us that. Within the crowd, it seems the lowest possible denominator holds court. Without police coercion, rage and disillusionment attract people to the crowd. I thought of people cheering the murder of Saddam Hussein’s two sons. I considered the cheering at Donald Trump’s hate mongering. At least here and now, you can’t be jailed for refusing to join in. Not yet.